Weighty Matters: If the last 10lbs are the "hardest", you're doing something wrong. If the last 10lbs are the "hardest", you're doing something wrong. I can't tell you how many times I've heard that statement. 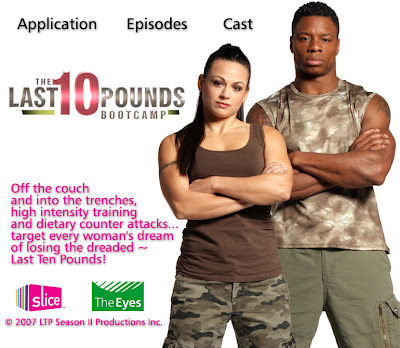 There are even TV shows and bootcamps dedicated to those "last" 10 pounds. What does that mean "last"? For most people out there it means the last 10 pounds to go before getting to a pre-set number goal. But why are they "harder"? They'd only be harder if a person felt that successively more and more suffering and sacrifice are what's required for weight management. Ultimately if you have to try that much harder to lose them, they're probably not staying off, because if those 10lbs require efforts above and beyond what you're comfortable living with happily ever after, their loss will only last so long as you sustain your now super-human efforts. Simply put, whatever interventions, diets, exercises, etc. you employ to lose the weight - if you don't sustain them, your weight'll return, and so will those "last 10 pounds". They also might not be the only 10, as for many, regain is so demoralizing that folks often abandon all of their interventions, and not only will those "last" 10 come back, eventually the "first" 10 will too. Every other area of life people are comfortable with their personal bests as wonderful goals. Why is it that with weight people strive to be "ideal", often at the expense of a liveable life? Your actual last 10lbs? They should come off as easily as the first. Slower? Absolutely, after all, there's less of you, so you'll burn fewer calories, but if they take any extra effort, that may just come back to haunt you.